How to Draw Full Lips is a mini-class I put together for anyone who struggles with drawing lips. You will learn how to capture the curves of the lips so that you can add later to any face drawing. 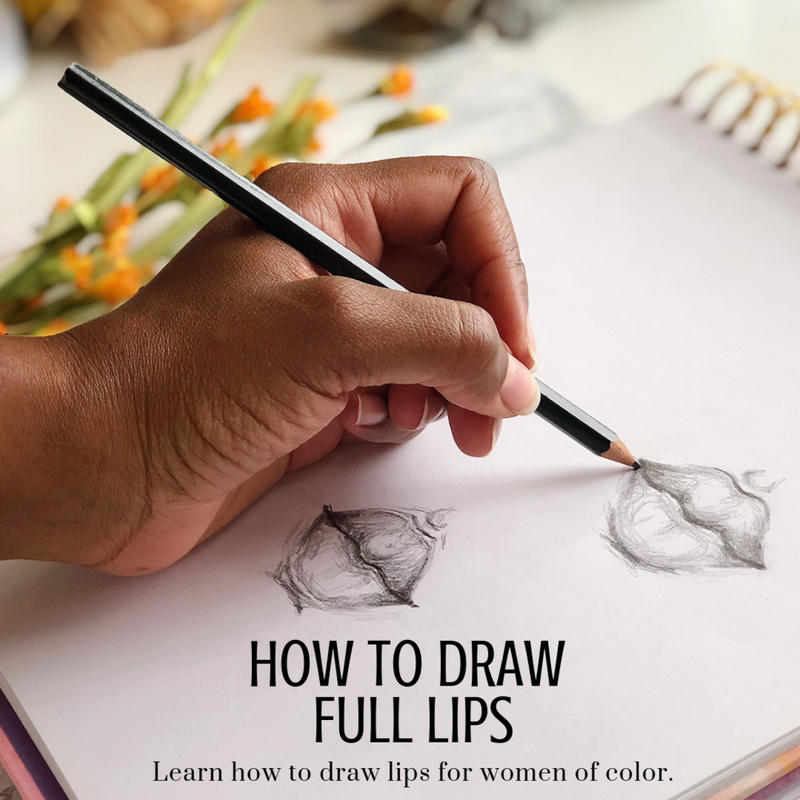 If you like drawing the face but struggle with drawing fuller lips or lips for WOC then this lesson is for you! In this micro-class, you will get one video lesson with three different examples. A super simple way to set up the lips to get drawing right away. How to play with shading and have fun with your style. What to do if your sketch starts to fall apart. You can always get back on track! This class is available immediately to all of my Patrons in the $5 tier but if you would like to buy the class alone, you can purchase the video mini lesson right here. P.S. The lesson is short and sweet so if you don’t have a lot of time it’s perfect for you! See you in class!